1．Kuen-chen Fu, Delimitation of the Overlapping EEZs Between Taiwan and the Philippines, (Taiwan) Soochow University Law Review 《东吴法律学报》，第四卷第二期, March 1984. 2．Kuen-chen Fu, Pollution Control in the Exclusive Economic Zone: A Comment, Chinese Yearbook of International Law and Affairs, Volume 4, 1984. 8．Kuen-chen Fu, A Chinese Perspective on the UNESCO Convention on the Protection of the Underwater Cultural Heritage , The International Journal of Marine and Coastal Law,（ISSN 0927－3522） Vol.18-1, March 2003. 10．Kuen-chen Fu, A Regional Cooperation Scheme for the Conservation and Management of Fishery Resources in the South China Sea, Symposium on China’s Relations with ASEAN: New Dimensions, National Singapore University, 2004-12-2-4. 12. Kuen-chen Fu, Coastal States’ Right to Control Scientific Research Activities in The EEZ, presented and collected in the proceedings of The International Symposium On The Changing Oceanic Landscape in the Indian Ocean Region: Issues and Perspectives of Debate, Centre for Security Analysis, Chinnai, India, 13~15 December 2006. The Taiwan Strait Area, presented in The 32nd COLP Conference, Orchard Hotel, Singapore, 9-10 January 2008. 17. Kuen-chen Fu, Policing the Sea and the Proportionality Principle, Globalization and The Law of the Sea Conference, Marriott Hotel, Washington, D.C.,USA, 2-4 December 2010. 18. Kuen-chen Fu, Origin of the Chinese Historic Waters in the South China Sea, UNCLOS and the South China Sea Issues, Alberta University, 21-23 September 2011. 1.傅崐成着, 《南海的主权与矿藏 --- 历史与法律》, 台北: 幼狮文化公司 (1981). 2.傅崐成着, 《法律与国是》, 台北: 时报出版社 ( 1982 ). 3.Equitable Ocean Boundary Delimitation (in English), Nat'l Taiwan Univ. Law Book Series 58,Taipei: 123 Information Co., 1989. 4.傅崐成着, 《国际海洋法 --- 衡平画界论》, 台北:三民书局( 1992 ). 5.傅崐成着, 《国际海洋法与渔权之争》, 台北:123 信息公司 (1992, 1994增订二版 ). 6.傅崐成着, 《南（中国）海法律地位的研究》, 台北:123 信息公司 ( 1995). 7.Vessel-source Pollution and Coastal State Jurisdiction (in English), co-author with Erik Franx et al, Chapter of Taiwan, Kluwer Law International, 2001. 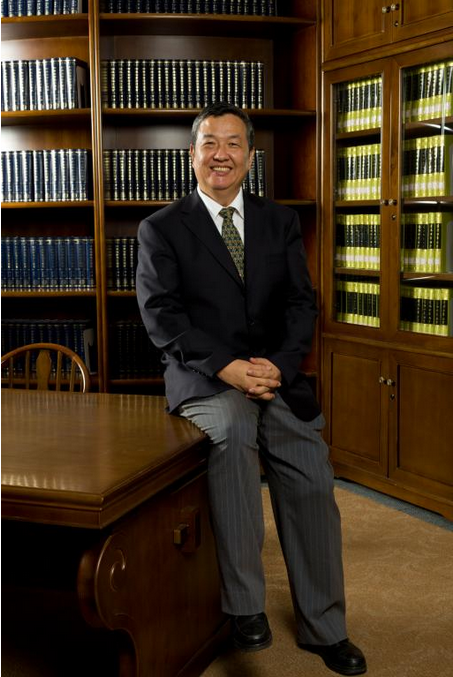 13.Kuen-chen Fu, as co-editor with Myron Nordquist and John N. Moore, Recent Developments in the Law of the Sea and China, Martinus Nijhoff, 2006. 14. Kuen-chen Fu, as co-author, in Sarah Dromgoole ed., The Protection of the Underwater Cultural Heritage: National Perspectives in Light of the UNESCO Convention 2001, ISBN 90 04 15273 3, Brill Publishing Company, 2006.